Featuring an enlarged winding space. EPCOS, represented by Ramelec Electronics , has developed the new EPX9/9/9 cores for transformers, for DSL applications. Combined with the newly developed SMD coil formers of Duroplast, they feature an enlarged winding space. The cores are available from EPCOS in state-of-the-art broadband ferrite materials T38, T57, T66 and N45. Digital subscriber line (DSL) technology is one of the fastest-growing technologies for broadband internet access. It calls for interface transformers with minimal signal distortion and loss. 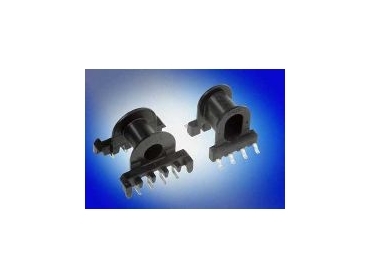 Thanks to the EPX series, the performance of these transformers has been enhanced further as their dimensions shrink. Access technologies with symmetric data transmission rates, such as SHDSL, are becoming more and more popular. They feature high data rates in both the upstream and downstream directions. SHDSL is particularly suitable for home offices, where users have to upload large volumes of data to the provider, as well as for online entertainment.